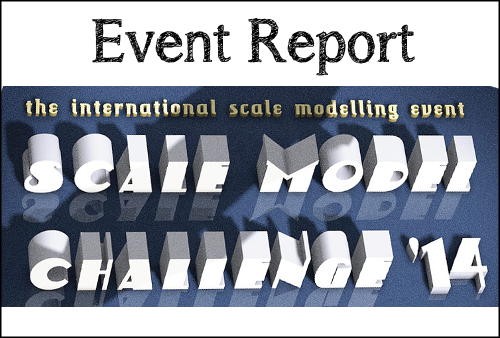 Although slightly overdue, I still wanted to write a little report on the Scale Model Challenge that took place in Veldhoven, on Sunday 14th of October. 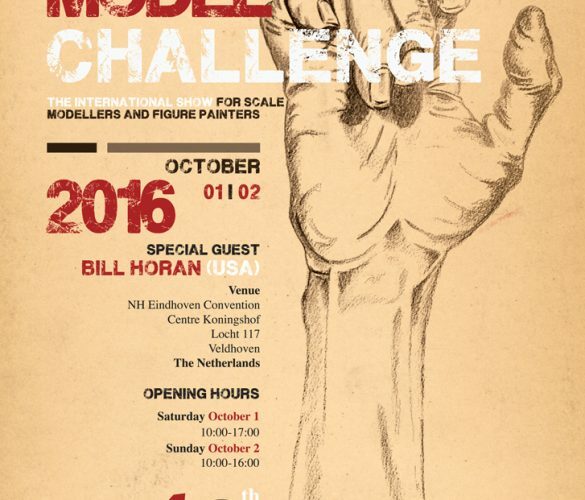 The Scale Model Challenge is an annual event organized by Scale Model Factory, a group of enthousiast hobbyist focussing on scale modelling in mainly plastics. 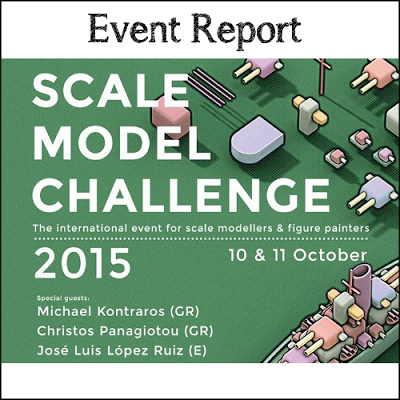 This group organizes a number of evens, of which the SMC is the most famous, attracting an international crowd of modellers. 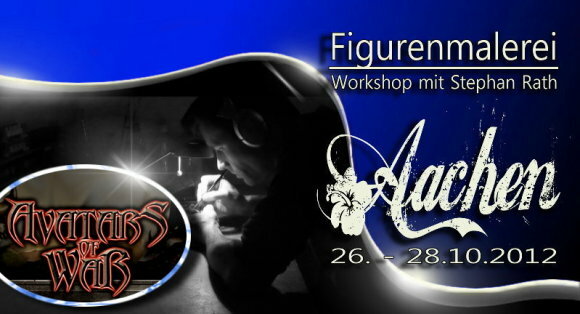 This year the event is also focusing on miniature painters, like me. In light of this, they invited a few members of the Massive Voodoo crew to give demonstrations and hobby tips & tricks during the day. 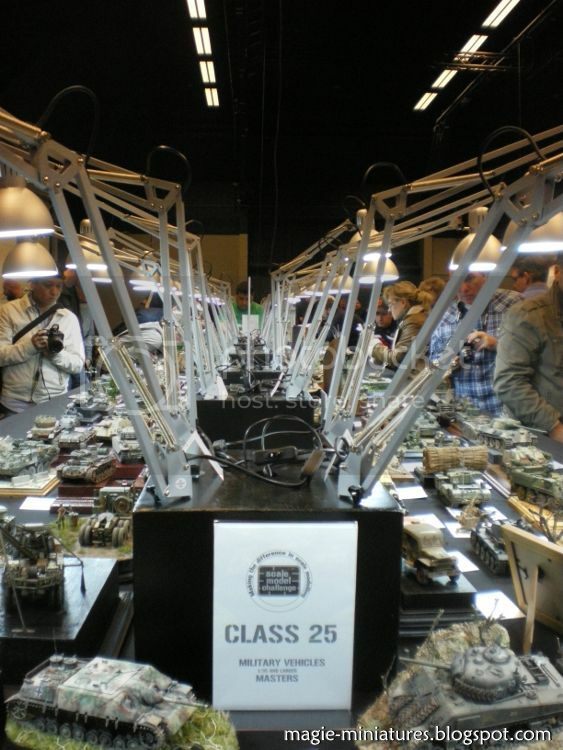 Additionally, seminars were held by experts in the field of Scale Modelling. 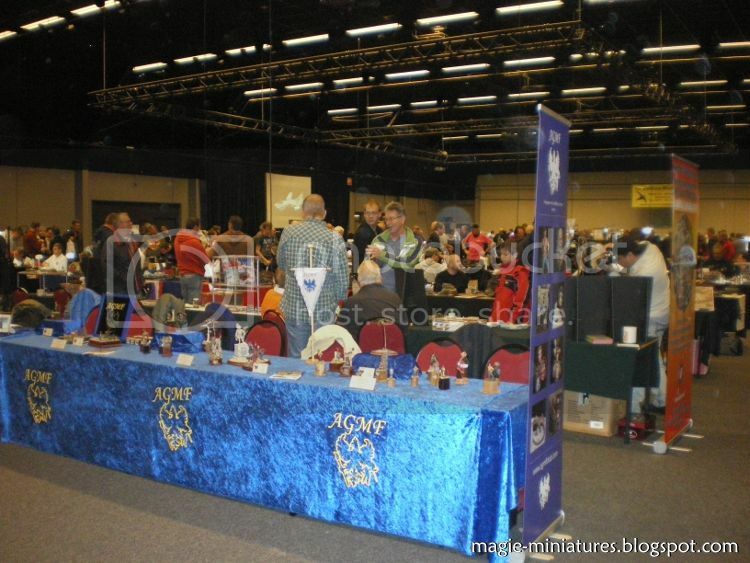 The SMC is a big event, set up in a large convention center in Veldhoven. There are 3 main assets at the convention: a club area, with modelling clubs presenting their work and creating masterpieces on the spot. Second, a retail area with stands of different companies selling all things related to scale modelling. And lastly, but certainly not least, the contest to which the name of this event is linked: The Scale Model Challenge. 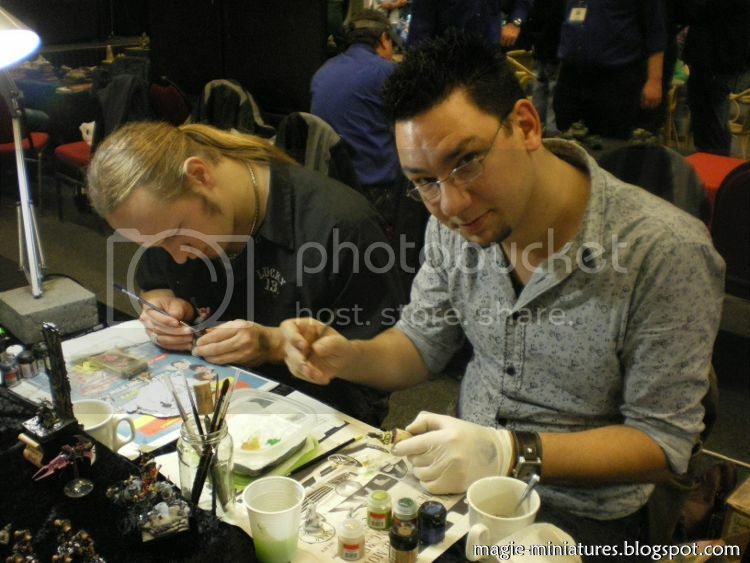 A few months ago, an idea was set up by Gerrie (Corvus) to attend the SMC as a small group of miniature painters including Gerrie, Pascal (Dims) and Gert (Tyr). We formed the “Lage Landen Schildervrienden” (Lowlands painting friends) for the occasion, and set up a table to showcase our works, and paint, in the club area. The four of us entered the painting contest. 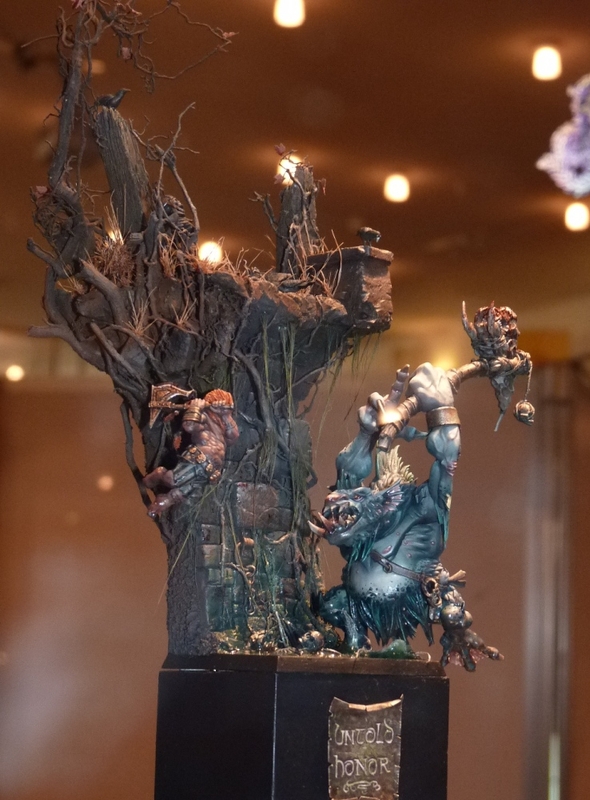 With the exception of Pascal, who entered his Space Wolf diorama in the “Figures Dioramas & Vignettes” category, we entered in the “Figures Fantasy Standard” category. Obviously the whole day was centered around the contest. 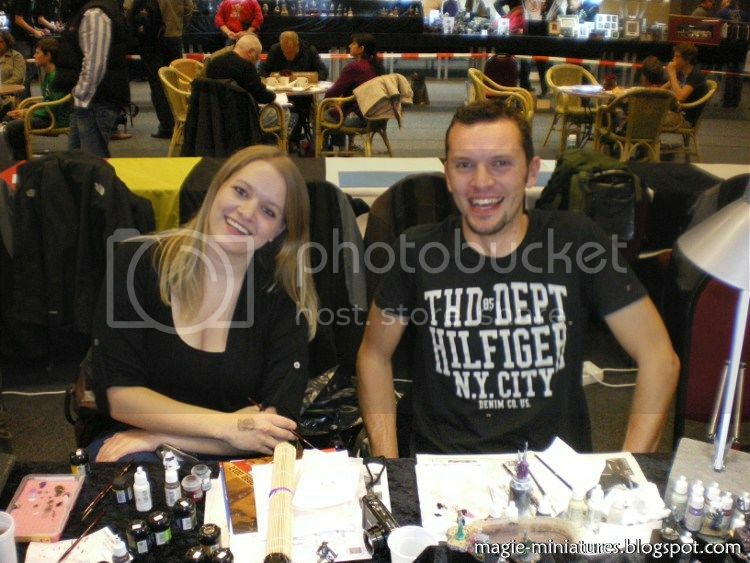 Large tables were set up, covered in black fabrics, to display all the pieces entered in the contest. 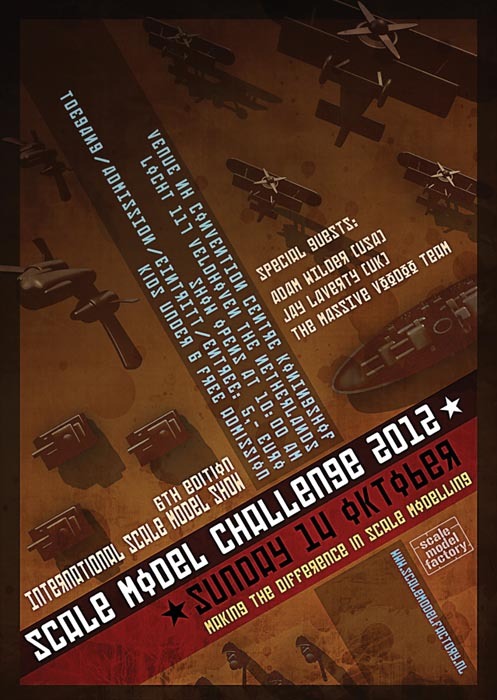 The contest was made up of 25 categories, covering all sorts of scale modelling, such as “Ships”, “Historical Figures” and “Military Vehicles”. Taking a look at all the wonderful pieces entered in the contest was a day job in itself. There were so many nice things to see, from the very small figures to incredibly large and detailed dioramas. As far as I understood, figures are attributed points by the judges, based on a number of criteria. 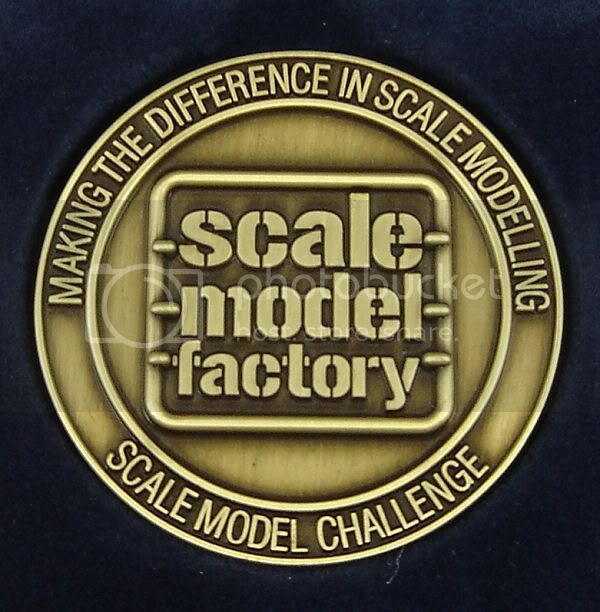 Threshold levels are set, and a prize (scale model challenge medallion) is awarded if a figure meets a certain threshold. This means, that it is possible for several pieces to win gold or silver/bronze in a category, as was found the case in many categories. I really like this form of judging, as it feels like each piece is judged as a separate piece, instead of making a comparison between all the pieces entered in a category. As there were so many categories, and so many awards (including additional awards given by the sponsors), the prize ceremony took quite a long time. I think about an hour, but maybe my memory is failing me here. Unfortunately, only the pictures of the gold prize winners were shown. It would have been nice to see pictures of all the winners, but I can imagine that that would be an enormous amount of work. Obviously the list of winners is long, so I will not publish that here. You can find the winners here. 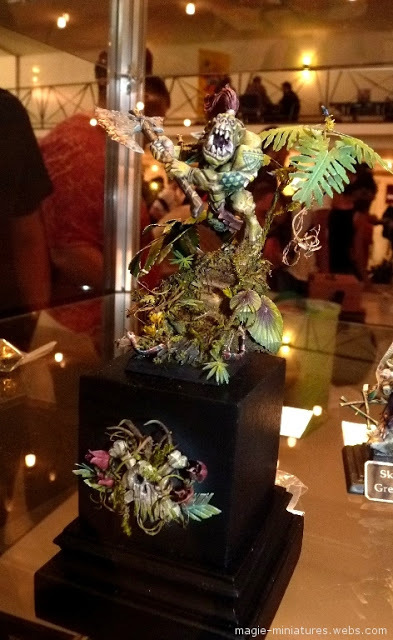 As for us four “Painting friends”, Gerrie won a silver prize with Han Solo, in the Figures Fantasy Standard category. Pascal won gold with his diorama in the category Figures Dioramas & Vignettes. 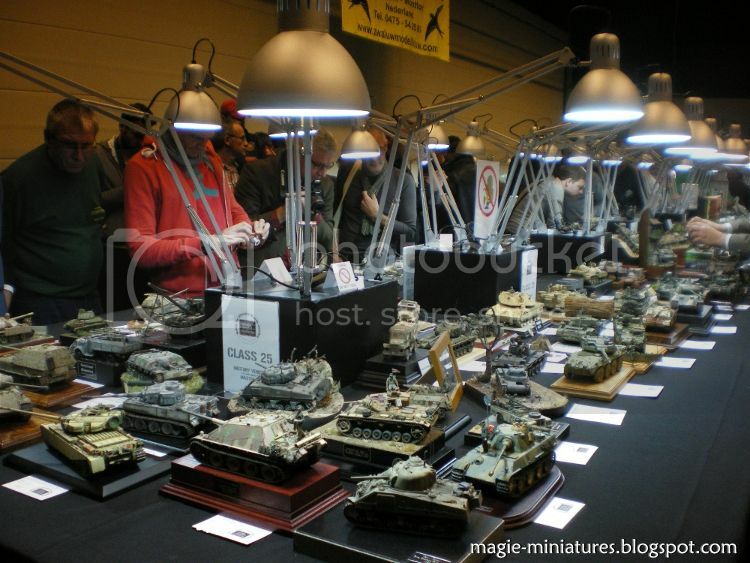 The Best of Show award was won by Aitor Askue, with the wonderful military diorama called “NORWAY 1943”. And the second best of show, the “Distinctive Creativity award”, was awarded to Rafaelle Picca, for his masterpiece “Visions of Hatred”. What a great event this has been! 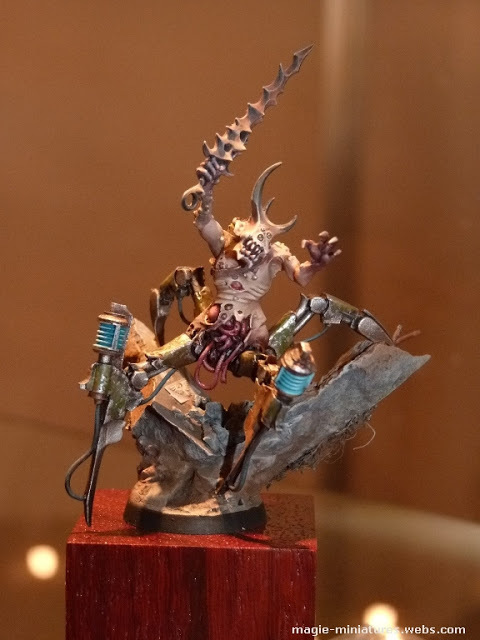 Although the largest focus was still on historical/military modelling, I think there was a lot of scope for us fantasy (or sci-fi/steampunk whatever) miniature painters. This was also reflected by the presence of a lot of great painters. It was really nice to see some of the works, which I had previously only admired online, finally in real life. The retail area was very nicely laid out, enough space to walk through everything in a relaxing way. I did not find any seller of 28-32mm miniatures, but maybe that was a good thing as it made sure I didn’t spend too much money. It was a great resource for basing material, however,. My favourite stands had to be the one from Juweela, with a lot of different options in bricks & roof plates etc. and secondly the stand of “Name it!”, which sells sameplates that you can use to decorate your display plinths. Obviously they did not make them on the spot, but it was great to see what the company has to offer. At many stands, wooden display plinths were also available in all sizes & shapes. The organization of the contest was phenomenal. The registration of the entrees went really smooth, and there was room enough for all the entrees to be placed in such a way to make everything visible. The draping on the display tables really helped all the entries stand out. And also, there was enough space to walk around the tables and glance at all the entries. The prize ceremony was quite strict, but seeing that they had to deal with so many prizes that seems to be the only way. As I said, I wished for pics of all the winning pieces but alas, maybe next year!